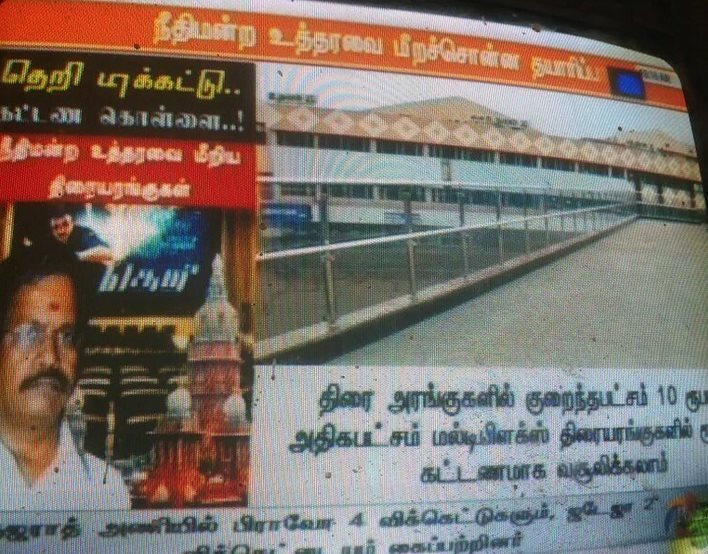 Tamil Satellite Channel Polimer TV is accused of illegally recording newly released Vijay starrer movie Theri inside a theater complex in Coimbatore. “Theri” is Mega Budget Movie in which Mass Hero Vijay acted and it was directed by Atlee. The movie was released worldwide today on the festive occasion of Tamil New Year and it was also screened in Shanti Threatre in Coimbatore town. According to the Tamil Film Producers’ Council (TFPC), It is understood that Mr. Senthil from Monica Films, the distributor of the movie for Coimbatore circle has launched a Police Complaint accusing the Camera Man working for Polimer TV stating that he has entered the theatre premises using his Press Identity and recorded the movie for more than 30 minutes, before he was caught red handed and arrested by the Police. It is also understood that Polimer TV camera man said that he was doing so as per the instruction of his bosses. When the Film Producer contacted the channel authorities, they didn’t get any proper answer from them and apparently took the matter to Tamil Film Producers’ Council. But after investigating the cameraman, cops didn't find any evidence of the recording of the movie and released the person. Sources say that Polimer TV news men was there to expose the increased price of the ticket and to cover the celebration of Vijay fans. Kalaipuli S Dhanu is the Producer of the film 'Theri' also happened to be the president of the Tamil Film Producers Council. S Dhanu was already upset with the Polimer TV channel because it exposed the act of distributors and producer (Dhanu) asking theatre owners to sell the tickets over-priced, though the high court had strict orders to sell them not over Rs.120. Later, the Tamil Film Producers Council after due consultation with the Artists Association and the Directors Association invited a press meet today afternoon and announced that the Tamil Film Fraternity has decided to put an embargo on Polimer TV and the members of the Industry will not render any kind of co-operation to the Channel and also instructed its members to stop supplying promotional clippings and song videos to the channel. Earlier, Polimer TV reporter who came for the press meet was asked to leave the room. Tamil Film Producers’ Council President Mr Kalaipuli S Dhanu also requested the authorities to take strict action against the Channel for involving in movie piracy activities that is haunting the producers. Mr Dhanu went on to accuse Polimer TV that the channel was involved in such illegal activities for longer time and this is the first time, they were caught red handed.